Our penthouse apartments have the best views by far! Large living rooms have two leather couches, coffee table and room for much more. Kitchens come with barstools, dishwasher, built-in microwave, stove and refrigerator. 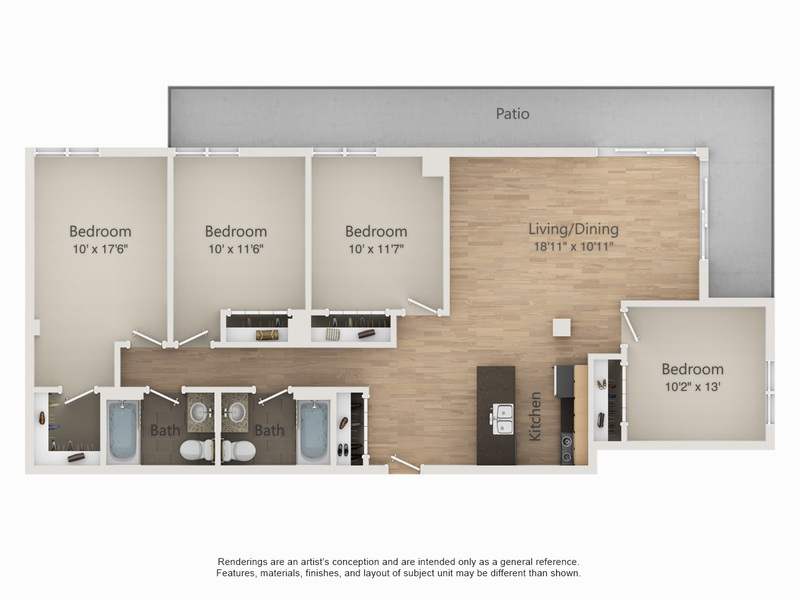 Each penthouse comes with two bathrooms and a walk-in closet off the largest bedroom. All beds are bunk-able full size mattresses. Enjoy an evening on your spacious balcony overlooking downtown Madison throughout the seasons. Maximum of 6 tenants.